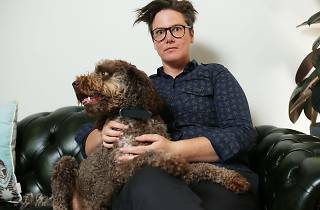 Hannah Gadsby sits in her kitchen on a warm but drizzly day. The backdoor is open, and outside, her veggie patch is flourishing. Gadsby lives in a renter’s golden egg – an affordable inner-urban one bedder, with a massive garden, large rooms, and a cubby house. The trade-off is the outdoor dunny. Gadsby lives alone, but doesn’t find herself wanting for company. Her brother owns a fruit and veg shop down the road, other mates live locally and then there’s her dog, Doug. “Doug is a huge presence so you never feel really lonely, he’s a shadow and always up in your grill,” she says. "I found that pottering is very conducive to my creative process"
Do you lose currency if you do that? “Probably, but I had to balance out the pros and cons and there were too many cons. I’ve got a soft brain. I get anxiety and distressed from external stimuli quite easily, so if I’m in a constant state of self-protection – it’s exhausting. So, I might lose currency, but I won’t top myself." 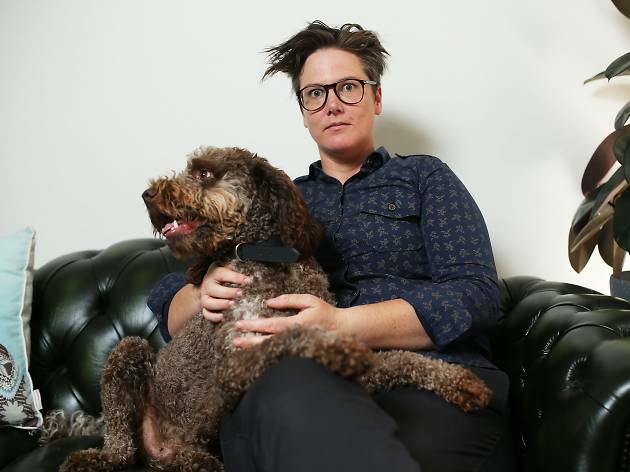 Catch Hannah Gadsby: Dogmatic at the Melbourne International Comedy Festival. Did you know: Gadsby has a degree in Art History and Curatorship from ANU and occasionally runs arts tours at the NGV.